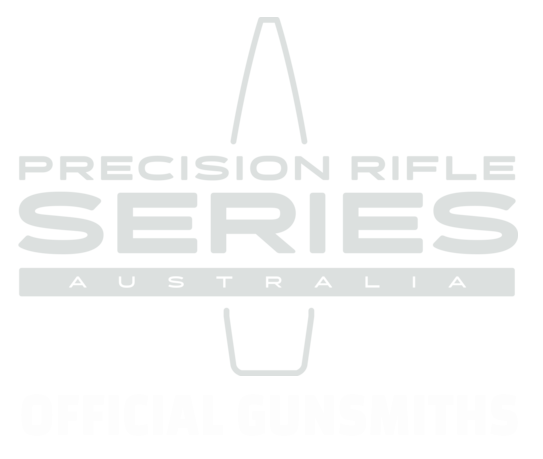 Excitement is building for the 2018 Precision Tactical Rimfire Challenge this month at the State Shooting Park (sponsored by Ignition Custom Engineering). With less than a fortnight to go, what is the best preparation? Our gunsmith Nik said the best advice is to “Run with what you brung”! There are plenty of brilliant products and services that can improve functionality and performance for your 22. But the days leading into a competition is not the time for them. 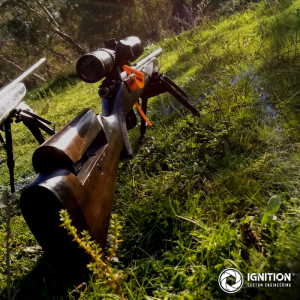 One of our customised CZ452 22LR rifles competing in the 2017 Impact Dynamics Rimfire Challenge with modified adjustable stock and tweaked trigger. “Going into a competition, try not to use new or untested equipment like new bipod, scope or bag and certainly don’t install it on the day,” Nik said. “You want to go in using a set up that’s familiar and you feel confident with. You want to know exactly how it handles and will perform. The other key piece of advice? “Get out and shoot your rig. Know your DOPE (data of previous engagement) and fall-of-shots at 10 metre increments from 50m to 150m,” Nik said. To find your DOPE, hit the range and record where the bullet lands at each 10 metre increment and how much you need to hold at each stage. If you are new to Practical Rimfire Challenges, you will need a .22 bolt action rifle fitted with a scope (4-12x or similar). A bipod is essential. Its also worthwhile having a small rear bag for stabilising the rifle. Ad of course, a second magazine ready to go. In timed stages, you can lose big having to load up your mag with those fiddly little suckers. Rimfire challenges can be great introduction to the PRS-style shooting. .22 ammo is cheap to practice/train with and doesn’t require reloading. They are lighter than centrefires, more maneuverable and when set up properly can be just as accurate over longer distances. This event is designed for shooters of all ability. Most stages are undercover (but may involve some interesting positions and surprising targets). Plus all funds go towards supporting the Torrens Valley Pistol Club. Other event sponsors include The Armory, Projectile Warehouse and STS Targets. -Scope or open sights. No magnification limit. -Slings Bipods and support rests permitted. -Magazine capacity limit 10 rounds. -Rifle must visually be of a factory OEM sporter style wooden, plastic glass type stocks. -All lever Action tube fed rifles. -Load whatever the tube will hold. -Each stage will be limited to your tube capacity, ie no reloading. -Slings and rests allowed. No fixed bipods. The day will consist of approximately 8 or 9 stages testing the competitor in various practical scenarios. There will be positional stages, some using rests , props or barricades. Shooting will be from prone to standing unaided on both stationary and moving targets. Prizes awarded on the day for the various classes. Full Catering will be available in the club dining room (breakfast from 8.30am) at a cost to the competitor. More information visit Precision Tactical Rimfire Group and check out their Events Tab.